111 pages in A5 format, that includes 20 black-white photos. In softcover. This guide is a simple answer to the demand resulting from many conversations with tourists in the summer of 2013. It is a simple and transparent review of that in the Bieszczady most valuable : the changes in the seasons mountains , plants and animals , and the elements of the Bieszczady mountains , as straight as possible and objectively described convoluted history of the region. 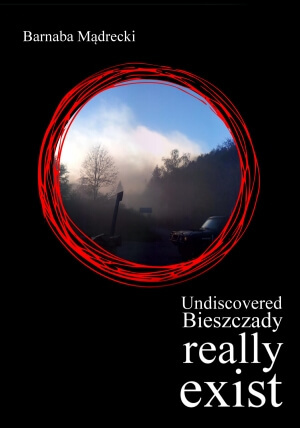 The book includes descriptions of places associated with the history of the Bieszczady : old and non-existent villages and churches which are world-class monuments. For nature lovers are appealing chapters: "Nature " and " Lookouts " , which is an interesting alternative to mass tourism already in the Bieszczady and popular publications. In case of inclement weather in the form of a list and brief description of knowledge , and proposes the most interesting museums. During his stay in the Bieszczady Mountains , everywhere you can see the relics , the remains of accident and central planned economy and even earlier history . The last chapter deals with service points on which I rely for many years, may be helpful in selecting the accommodation and catering. Guide is written for people who are in the Bieszczady mountains for the first time , they feel confused quantity and quality of trails, and for those tourists who were already in the Bieszczady Mountains , not once but want to know them a bit from the back.